Special study centres of IGNOU have been established in the following Jails to provide education to the prisoners. Different courses viz. BPP, BDP etc. through IGNOU are being run in these centres. The response from the inmates to these courses has been encouraging and the successful candidates at the end of the training courses are awarded certificates from IGNOU to enable these prisoners to start their livelihood after their release. Under the Skill training programme to young inmates in Jail, over 500 inmates in jails of Jammu and Kashmir are at present receiving basic education through IGNOU. Recently, the Prisons Department has entered into a MoU with the DOEACC and three extension centres have been started at Central Jail Kotbhalwal, Central Jail Srinagar and District Jail Jammu which have been successfully functioning in these Jails. On successful completion, the prisoners will get a certificate / diploma from DOEACC/ Ministry of IT. 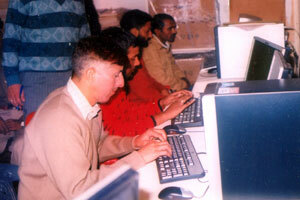 It is an innovative step for making prisoners technically skilled in computer knowledge as is the demand of the hour, especially in private sector. 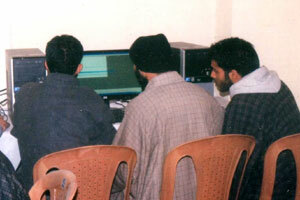 In Central Jail Srinagar, Central Jail Kotbhalwal Jammu and District Jail Jammu, 65 inmates are being imparted basic computer training. This group of inmates will be taking their online examination.